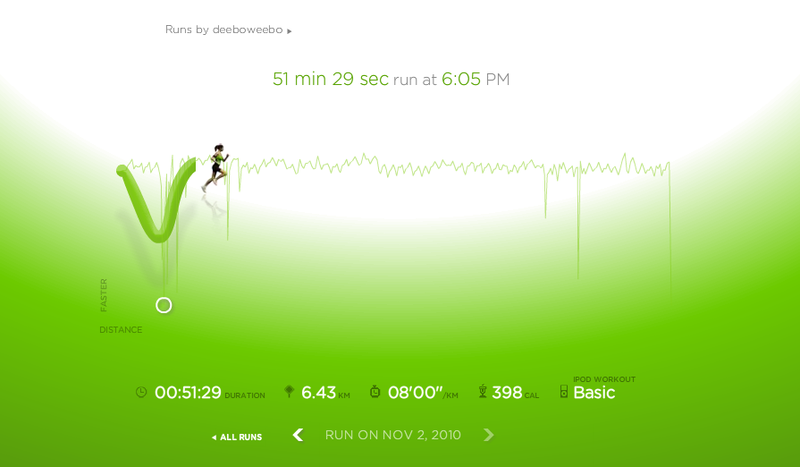 ← 31/10/10 intrafac floorball and a run! pace today was much slower than my run with ilman on sun. shows wad poor discipline and pacing i have by myself! was max effort alr though it was a shorter distance and slower pace! dunno whether to be happy or not.. on one hand, max effort= work hard= not reaching a plateau= effective cardio…but on the other hand..why only run to sunset way so tired alr???? i usu run to the sp sign, and feel ok..and just 20 days ago, when i ran >10k w jeanne, also at the the faster pace 7’30”, i actually felt veryy shiok! now only 6k and so shag. shows how much slacking and decondition you :/ …so fast!! already 9pm! and i only just had dinner and only gonna start work abt now. that leaves me with just ~3hrs to mug/do admin stuff/fb/youtube if i aim to sleep by 12midnight..
did 3 sets crunches and obliques today while watchin the 7 oclock cheena show!